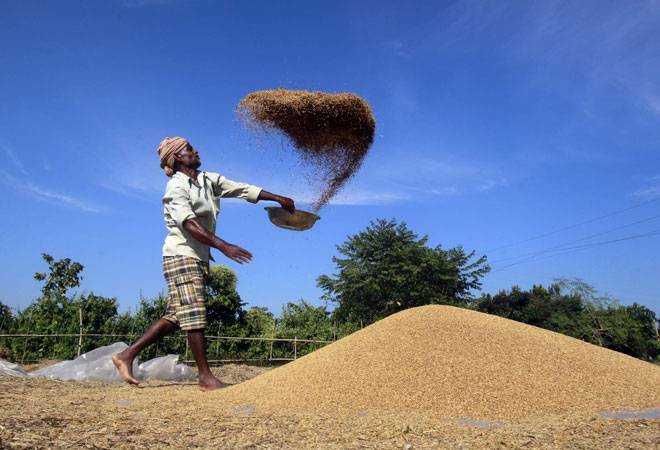 A complete recovery of the farm sector would require a strong improvement in productivity, yield, acreage and minimum support price (MSP), and successful implementation of various schemes announced in the Budget, it said. Farm recovery may be delayed despite a favourable monsoon this year and India needs more such spells because drought in the last two years has created much more severe stress, the latest report from India Ratings and Research said. The India weather office has projected better than normal South-West monsoon for this year. In June, rainfall was less, but the situation is expected to improve in July-August. "Just one favourable monsoon may prove quite inadequate to completely restore the farm sector," Ind-Ra said in the report. That is because unlike the 2009 downturn, the current cycle has so far seen almost five years of muted growth in not just production and price, but acreage and crop yields, it said. As per the report, the consecutive monsoon failures have created a much more severe impact on the farm sector and tractor loans now than in 2009 and "hence, a recovery is likely to be protracted". Noting that absence of significant growth in irrigated area exposes several regions to the risk of an erratic rainfall, the report said even after a favourable monsoon this year, chances of a complete recovery in tractor loans and farm output may get hampered if the next monsoon is not favourable. "A complete recovery in the farm sector may require more than two favourable monsoons, considering the severity of current stress," it said. During the 2009 slowdown, the production of all crops dropped 4 per cent year-on-year, the report added. However, an over 25 per cent increase in MSP for both foodgrain and non-foodgrain crops and nearly 4 per cent drop in key input cost-diesel and fertiliser-lessened farmers' burden. But in 2014 and 2015, not only the production suffered, but the growth in MSP was low at a compound annual growth rate (CAGR) of below 3 per cent. Even after factoring in the reduction in diesel prices in the last two years, farmers' net profit has been growing at a CAGR of below 10 per cent since 2014 and hence, impact on farmers' income has been more pronounced, it observed.